Hydrostatic Release Unit -McMurdo Hydrostatic Release for Catagory 1 EPIRB 'BreaktHRU' - the Hydrostatic Release Unit (HRU) Kit from McMurdo. Smaller that other HRUs currently available, BreaktHRU is unique in its use of a small pyrotechnic charge, which is used to enable EPIRBs to automatically float free. Using technology developed exclusively by McMurdo, the pyrotechnic charge is used to activate the HRU when it is submerged in water < 13 feet. 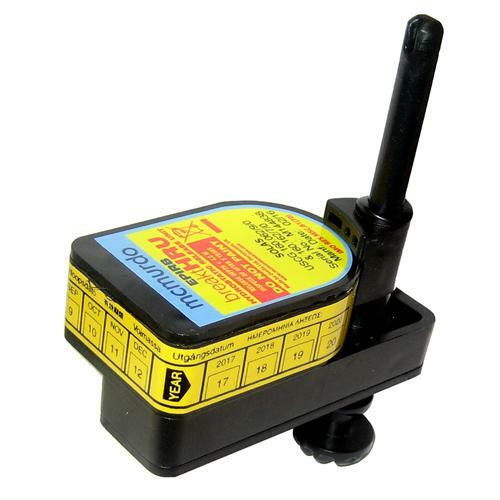 Once activated the EPIRB is automatically released - it's as simple as that!.